What is the best alternative to Salesforce CRM? 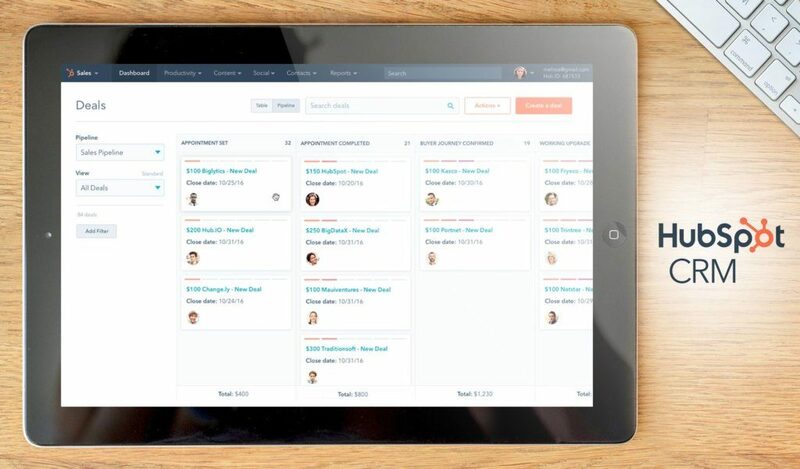 HubSpot CRM is the best alternative to Salesforce CRM. It is regarded as one of the most powerful CRMs in the market today yet it is totally free. HubSpot CRM provides you with all the major CRM functionalities, including native integration with other crucial customer relationship tools by HubSpot. Unlike other similar platforms, HubSpot CRM is free without any limits as it can be used indefinitely by an unlimited number of users. HubSpot CRM is also highly flexible as you can integrate it with your current CRM system or as a stand-alone platform as you begin to roll out a new CRM for your marketing and sales. There really are a number of solid reasons to consider Salesforce CRM as a one-stop-shop product for all of your relationship management needs, as the system covers several communication channels, lead management, sales, and marketing automation all from the same centralized platform. At the same time, it carries the reputation of a leading software provider with thousands of satisfied users worldwide to guarantee its functionality. Salesforce CRM, however, is often considered as an overly powerful platform for startups and developing businesses, which would rather focus on a basic portion of the system to manage the modest customer base they have. This is why we’ve prepared this article to help you search for that CRM solution that’s suitable for your business operations other than Salesforce CRM. There are indeed situations when a business may find its hands tied from maximizing the value and potential of robust CRM tools like Salesforce CRM, at least not without spending a considerable amount of money and time to explore what it can do. 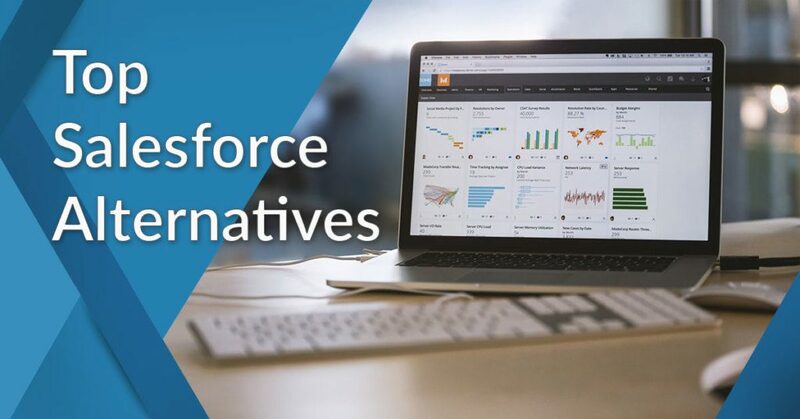 With this in mind, we’ve prepared this list of top alternatives to Salesforce CRM you should consider in 2019. HubSpot CRM is a robust, free CRM solution that allows you to better manage your pipeline and propel your sales team towards increased productivity. It is rich in smart features and functionalities beyond the common tools that sales teams need yet is easy to use, customize, and scale for your actual business needs. You can easily sign up for a HubSpot free app here. Features to consider: Live chat; Outlook and Gmail integration; reporting dashboard; Instagram and Facebook lead ads; email templates; conversational bots; canned snippets; contact management; ticketing. How can HubSpot CRM improve your CRM related operations? You can use it for free and has premium plans that suit any budget. HubSpot CRM is among the most widely-used because most of its advanced functionalities can be used for free. Whether you’re a start-up needing the basic CRM tools to better connect with customers or a large enterprise requiring more extensive CRM tools and coverage, you can use HubSpot CRM at no cost at all. You can also easily integrate it your business systems, tools, and other HubSpot platforms as you see fit. Always have an updated customer information database. Many CRMs still require users to conduct manual updating of customer details. With HubSpot CRM, your valuable customer information is automatically updated with every transaction and enhanced when synced with HubSpot’s rich database of more than 20 million companies worldwide. In just a few seconds, you can add new business and individual contacts. With just a single click, you can readily create new contacts directly from your email. You can also have HubSpot CRM to generate and update business records automatically. Quickly send optimized sales emails. HubSpot CRM does not only offer functional and elegant email templates but also allows you to schedule the best time to have your emails delivered. You will also be notified once a customer reads your email, which helps you better conduct follow-up activities. No more manual entry of sales activities. Just focus on performing all your sales tasks and leave all the logging functions to HubSpot CRM. Freshsales is another top-rated CRM platform that helps dynamic sales teams continually monitor customers while addressing their concerns. Considered by many as an all-in-one contact management platform, this CRM is powerful enough to help sales teams to be on top of anything sales, yet users can do all the nitty-gritty stuff using a simple, easy to use dashboard. You can sign up for a Freshsales free trial here. Features to consider: Complete conversation history; pipeline dashboard; in-app and website tracking; behavior-based segmentation; click to call; team inbox; web-to-lead; deeper analytics; bulk actions. How can Freshsales improve your CRM related operations? World-class customer support. Whether you’re a premium user or with a free plan, you will get the same top-of-the-line reliable support from Freshsales’ technical team, no questions asked. Everyone also has direct access to its rich knowledge base written by experts in the field. Optimize sales and prioritize pipeline opportunities. Freshsales allows you to prioritize appointments and tasks directly from the deal pipeline. This platform is designed to provide power analysis-based insights and how to use these insights to achieve competitive advantage. Results-driven lead management. Freshsales is not only designed to attract leads and determine their source but also to properly manage this valuable client information so that these prospective customers become loyal ones. Pipedrive is fairly similar to Salesforce CRM in terms of letting users preserve full sales control, and that’s what makes it a leading alternative. If you want to try out the software first the vendor offers a great free trial plan that makes it possible. You can easily sign up for a Pipedrive free trial here. How can Pipedrive improve your CRM related operations? It boosts sales through the prism of effective customer relationships. This is where the correlation between Pipedrive and Salesforce CRM becomes most visible, as both systems bring in an effective sales methodology to acquire more deals focusing on the right activities. In a similar fashion, both systems give users a clear overview of their sales pipeline for both people and activities, and qualify leads instantly, and as they arrive in the system. It saves time with simplified deal management. To add a deal in Pipedrive, all you have to do is to click on the intended button and open a pop-up dialogue box to arrange the details in a brand-specific manner. The system uses an advanced Activity Scheduler to prevent double entries, to import data from an array of associated systems, to synchronize emails, and to automate qualification to save businesses valuable time. Turns data into operable intelligence. Probably the most valuable tab on Pipedrive’s Dashboard is the Statistics tab, where the system reveals an incredible capacity to process and understand critical metrics. Using it, you can follow the performance of individual agents, the value of each separate deal, or the history of every lead, and export information easily in the desired format and destination. The same as Salesforce CRM, Zoho CRM carries the reputation of a prominent software provider and is able to guarantee impeccable performance and promise deals with all certainty. Nevertheless, Zoho CRM is considerably easier to use, fully enabled for social and mobile CRM; and related to a larger number of data sources to import contacts from. You can sign up for a ZohoCRM free trial here. How can Zoho CRM improve your CRM related operations? You can use it to automate all sales operations. The core value of Zoho CRM is that it automates daily sales tasks, converts web visitors into hot leads, imports prospects from external sources and parties including trade shows, direct emails, and seminar. Once imported in the system, leads are matched with the appropriate sales agents and converted into buyers sooner than you could ever imagine. It secures real-time access and processing of important data. Zoho CRM offers a handy Opportunity Tracking tool allows you to see where your customer is in the sales cycle, which is the deal’s size, contact history, and competitor profile to help you craft more fitting messages. Access these data in the easy, accurate Dynamic Reports & Dashboards. It maximizes the potential of mobile and socially acquired contacts. Zoho CRM is known by its capacity to attract mobile and social leads, follow and examine their behavior, and link them to products/services. Copper is a cloud-based CRM platform made to streamline and enhance sales and marketing activities. Used and trusted by top global brands like Uber and Google and over 12,000 businesses, Copper offers a smart interface and a robust array of relationship management solutions to enable you to focus more on building lasting relationships rather than wasting too much time on cumbersome data entry tasks. You can sign up for a Copper free trial here. Features to consider: Multi-currency; single sign-on; activity and lead insights; Gmail and chrome extension; bulk email sending; sales forecasting; goal tracking; leaderboard; API. How can Copper improve your CRM related operations? Faster, more streamlined workflow. All sales lead and customer data are important information but entering them manually do not only take considerable time but also adversely affects the opportunity to create and sustain relationships. With Copper, you can say goodbye to manual data entry so that you can spend more time winning loyal customers. Increased team productivity. Copper’s powerful lead, contact, and visual pipeline management tools can help your team produce more quality output. This means better optimization of your sales strategies, your contacts are tended to properly, and every team member is made fully aware of every lead’s status. Smooth integration with existing systems. Copper offers API capabilities which allow it to easily integrate with any software environment that your business uses, thus removing the issue of system incompatibility. Unlike our previous suggestions, Contactually doesn’t focus on managing sales relationships but emphasizes instead the importance of marketing and promotion for maintaining quality customer communication. It is ideal for small and medium businesses looking to improve communication with clients and contractors and communicate in a more professional and objective-oriented manner. The system works for freelancers as well. You can sign up for a Contactually free trial here. How can Contactually improve your CRM related operations? It offers advanced communication management. Once implemented, Contactually becomes your favorite virtual promoter and assistant that takes care of customers even when an agent is not around. It notifies and reminds you of pending activities and approaching deadlines, and gradually standardizes operations on all channels. It lets you import contacts from several sources, and sort them in a preferred manner. Contactually makes it possible to import contacts to the system, sort them into “buckets” and then create certain programs and pipelines that you can use to automate chain emails. It comes with an open API architecture. One of the biggest benefits associated with Contactually is the infinite integrations to count on, as it can be connected with literally any app or business system you already have in place. amoCRM is an easy-to-use, cloud-based, full-suite CRM for small businesses seeking to grow by enhancing their sales productivity and boost profits. This comprehensive CRM platform is designed to help you transform new contacts into leads and into loyal customers. Its strength lies in its powerful analytics and contact management features that are designed to facilitate better decision-making and efficient performance monitoring, including an automated digital sales pipeline. You can sign up for an amoCRM free trial here. Features to consider: Business card scanner; widget integration; integrated team messaging; caller ID; sales pipeline; single-click dialing; cloud sync; mobile CRM app. How can amoCRM improve your CRM related operations? A smart, easy-to-use interface. amoCRM’s dashboard has an elegant configuration that allows users to quickly understand its features and processes. Everything you need to use for your CRM tasks can be done using this single interface. Automated digital pipeline. With an automated lead nurturing functionality, you are assured that every bit of important contact data and activity are stored, managed, and given their timely follow-up actions. With each lead aptly nurtured prior to reaching your sales team, the likelihood of transforming them into actual sales is effectively increased in the process. Optimized mobile solution. amoCRM is also a complete solution in its mobile versions. This allows your sales team to access your system even they’re on the go, thereby still enabling full support to their contact management needs anywhere they go. vCita is a comprehensive business management and customer service for small businesses. This cloud-based all-in-one hub integrates important tools to help users run their daily tasks and processes, including email and SMS marketing, lead generation, billing and invoicing, client management, client portal, and online and calendar scheduling. Accessible from anywhere and anytime, vCita facilitates a simple, yet efficient customer interaction. You can sign up for a vCita free trial here. Features to consider: Client interactions management; Contact form Facebook plugin; multi-device calendar management; HTML contact form generator; Customizable fields, styles, text and forms; integrated appointment scheduling and services menu. How can vCita improve your CRM related operations? Online scheduling & booking. This flexible platform allows your customers to schedule a service that they prefer using any device, from anywhere and at any time. vCita’s cloud-based scheduling functionality lessens appointment issues, supports better coordination, saves money and time, and ultimately increases sales potential. Self-service client portal. Its customer portal empowers your clients with greater control over completing their transactions with you. It is secure, easy-to-use, and convenient for your clients. In the process, it helps lessen your team’s workload and allow them to focus on more critical tasks. Robust client management. vCita is designed especially for service providers, making it a good choice for small companies wanting to expand their business. It allows you to revamp your company to become a self-managing enterprise by having greater control in customer management and interactions. OnContact is a complete, multi-feature CRM package offered for a single basic price. This full-suite platform includes all the CRM functions that most businesses today need such as call center and customer service, marketing automation, and sales software solutions. Its smart dashboard is configured to enhance productivity, increase user acceptance, and simplify navigation. OnContact is also device-friendly as it functions seamlessly whether you use a mobile device or a desktop. You can easily sign up for an OnContact free trial here. Features to consider: Contact center; marketing management; Customer Service Incident Management; sales and project milestone tracking; document linking and management; sales automation; search tools for data mining; campaign management. How can OnContact improve your CRM related operations? Efficient marketing planning & automation. OnContact CRM gathers customer and market data from multiple sources, which are then utilized to create, assess, and carry out marketing programs to address the particular requirements of any target market. Its automation feature helps maximize the potentials of every lead through greater control over activities, email distribution, lead processing, and lead behavior monitoring. Sophisticated and code-free customization. OnContact CRM is a good choice for businesses of all sizes because it allows users to effortlessly add, change, or delete tabs, screens, and fields until you are able to customize your CRM the way you want it to be. You don’t need any coding knowledge to create distinct business processes that you need for your operations. Streamlined integration with QuickBooks. OnContact works seamlessly with your Quickbooks, which allows better integration of your finance and CRM data. This means you don’t need to leave your CRM if you need to access your financial information, which means convenience and increased productivity. RevampCRM is a marketing and sales CRM designed to streamline the workflow and automate the reporting tasks of small businesses and online retailers. This platform allows users to proactively categorize leads, identify workflows for automation, and efficiently carry out email campaigns. You can perform all your CRM tasks using a single interface with access control. You can sign up for a RevampCRM free trial here. Features to consider: Task management; opportunity management; developer API; CRM and sales dashboards; email templates; campaigns; contact management; marketing automation. How can RevampCRM improve your CRM related operations?  Productivity using a simple yet advanced dashboard. This CRM solution has an easy-to-use and intuitive user interface that allows you to be on top of things, including schedules, important notifications, integration list, workflow approvals, etc. You can readily send messages to important contacts and even close deals within the dashboard itself. Provides a robust email marketing functionality. You can use RevampCRM’s advanced email marketing feature that leverages upon the rich insights from the history and activities of your contacts. This allows you to closely monitor your client interactions and improve customer engagement. You Can Manage Your Contacts in One Place. This CRM platform allows quick and easy connection with your potential customers and sends appropriate communications. This is because RevampCRM provides a unique contact profile for each of your potential customers, which you can use to store all relevant contact information. Do more than just contact management. A core CRM function is for managing contacts, but it should be more than a repository of contacts and offer other key features like fostering relationships with customers, forecasting sales, closing deals, among others. Can synergize with marketing. Only consider CRM solutions that can manage data and marketing campaigns and enable data sharing among your teams. A CRM system should also have knowledge base functionality, which an important element in keeping your customers informed and satisfied with your services. Priced within your budget. It’s free to dream but running a business should always be rooted on the ground, so check out only CRM tools that fit your budget, but with the flexibility to grow with you as your business expands. With robust reporting capabilities. Gathering and maintaining loads of client information will be naught if you don’t have a CRM to help you analyze, gain valuable insights, and make appropriate actions to convert contacts into actual loyal clients. With email handling efficiency. Emails are fundamental in managing leads and other sales and marketing tasks, so your CRM must have easy-to-use and efficient data import and export capabilities. If in case you need to know more about CRM software, you can check this article to help you make better and more informed decisions for your business. Still unsure what CRM solution you’d choose for your business? You can test this best Salesforce CRM alternative by just signing up for a HubSpot CRM free app here.